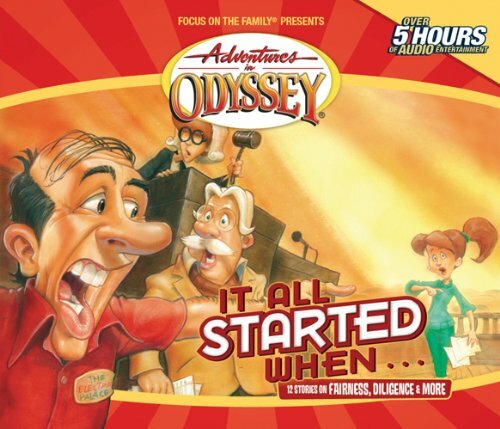 Adventures in Odyssey is exciting, character-building audio entertainment for the whole family―brought to life by an award-winning team that uses storytelling to teach lasting truths. So grab your imagination and find out why over 20 million Adventures in Odyssey products have been distributed worldwide. Find out just how far Curt will go to win the student council election, what happens when Donna wears a daring outfit against her father’s wishes, how important joining the cheerleading squad really is for Robyn . . . and much more! It All Started When . . . features special lessons on virtues like honesty, purity, loyalty, and wisdom.